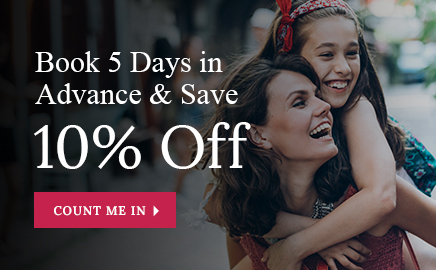 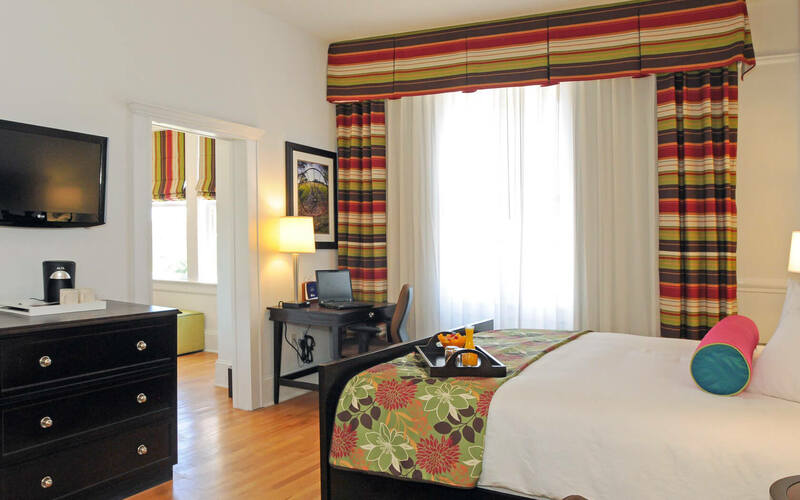 The pinnacle of San Antonio accommodations, Hotel Gibbs’ stately guest rooms and suites offer everything you’ll need for a successful stay, from complimentary in-room coffee to high-speed Wi-Fi. 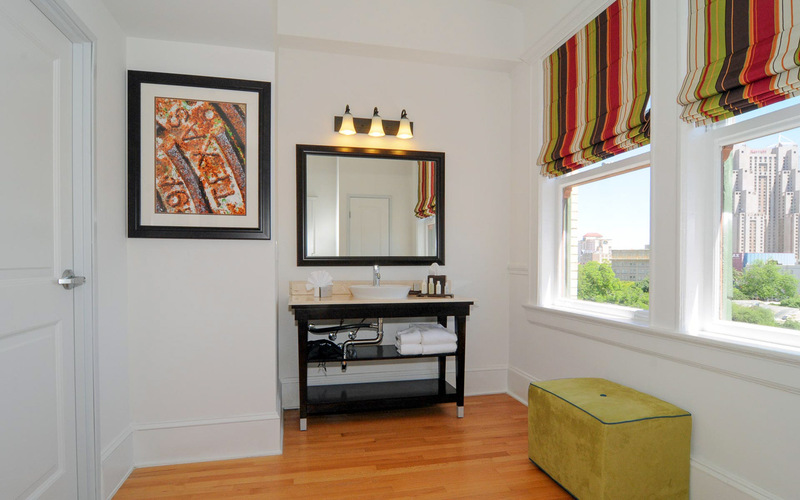 Highlights include high ceilings, original wood flooring, and spa-like showers. 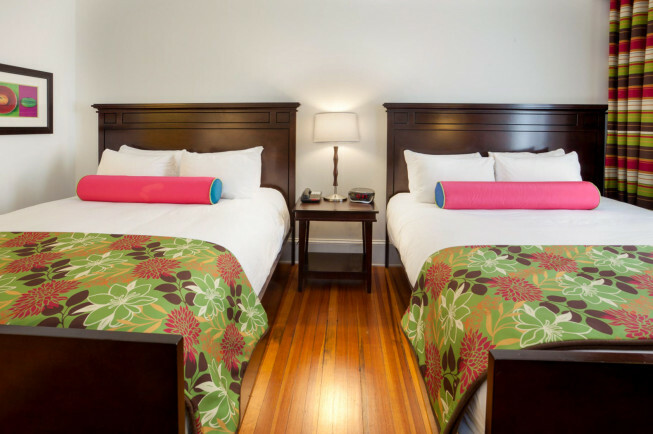 Our contemporary Queen Executive rooms features 100-year-old original hardwood floors, gorgeous oversized windows, modern decor and amenities, and a queen-sized bed adorned with plush bedding. Enjoy original hardwood floors, large windows with an abundance of natural light, contemporary furniture, and a luxuriously cozy king-sized bed in one of our King Executive rooms, perfect for couples. 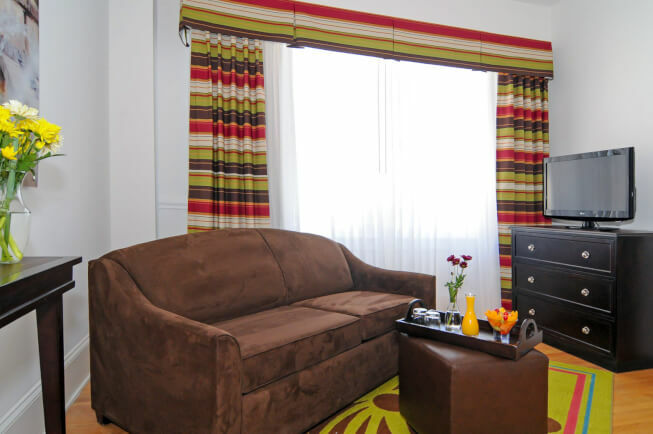 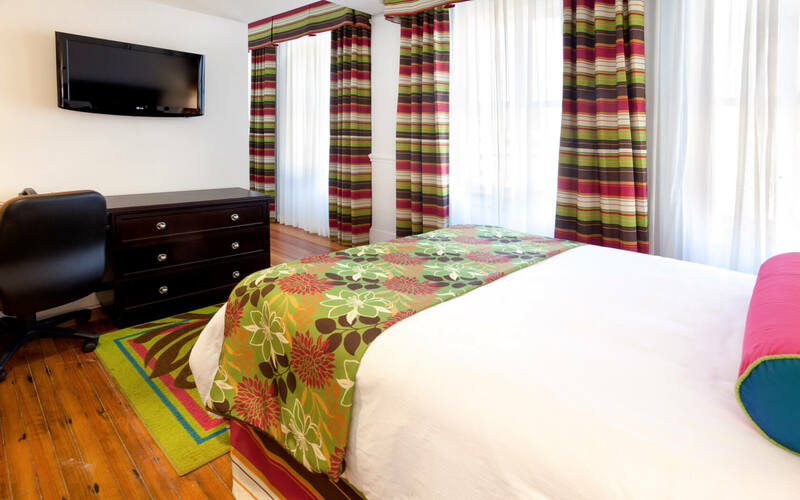 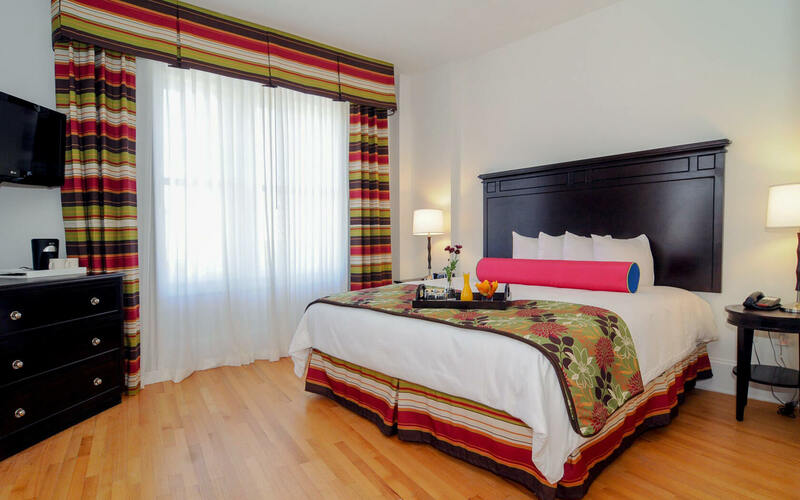 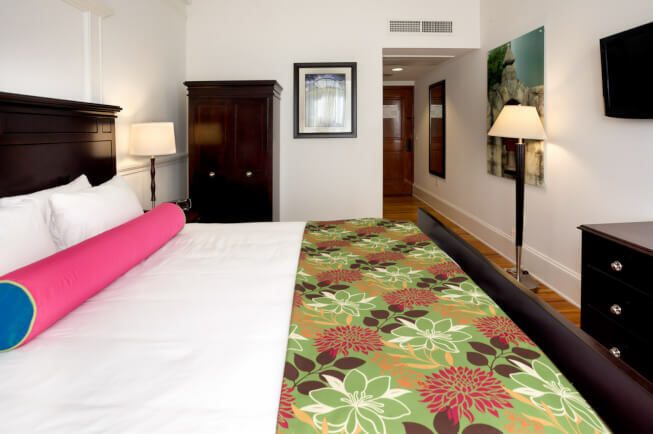 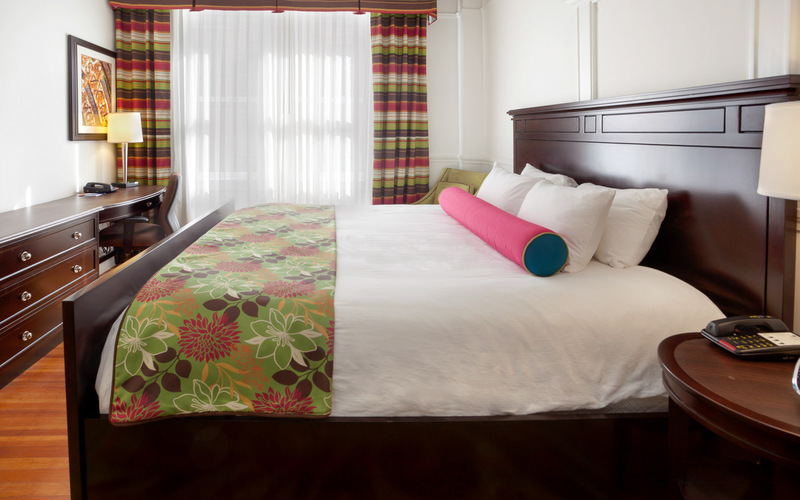 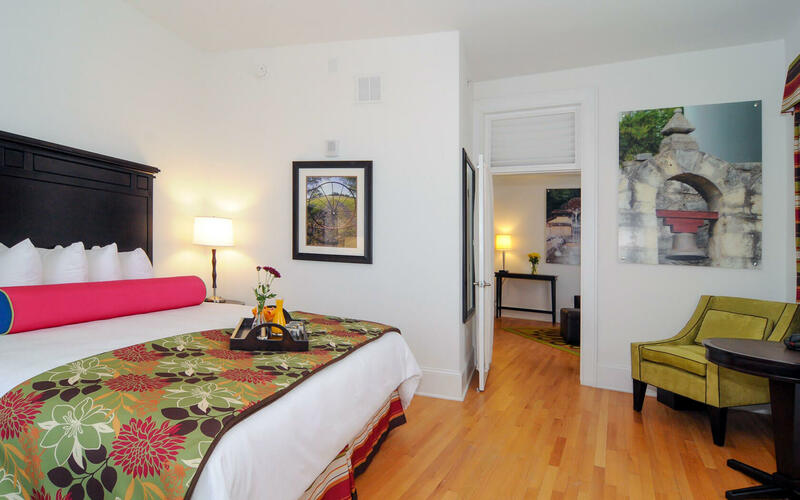 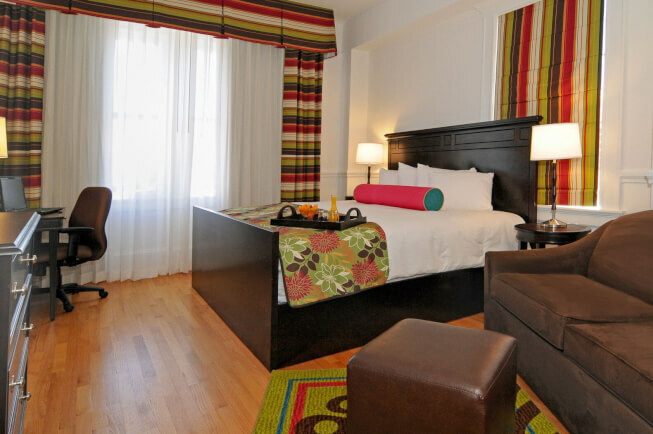 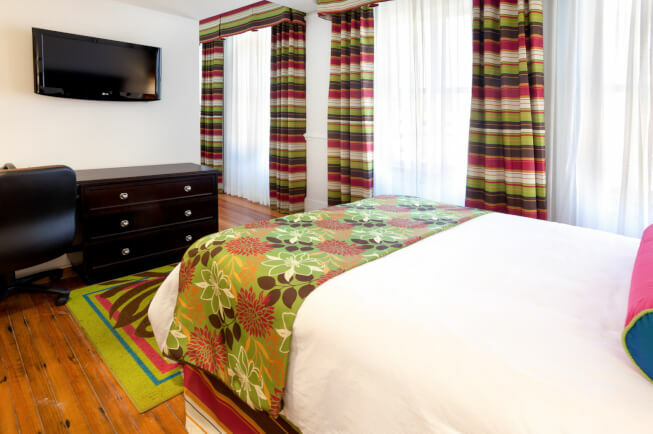 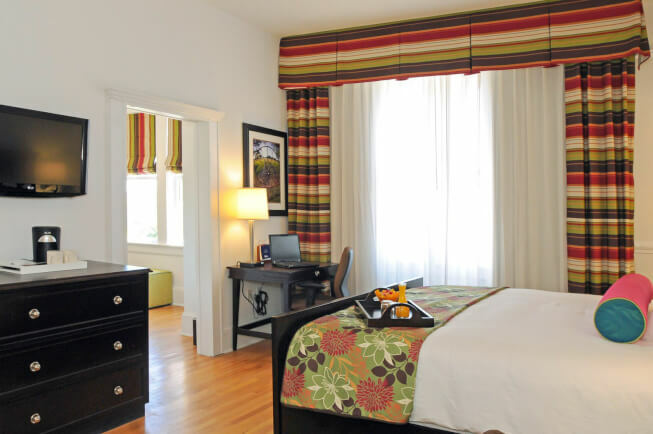 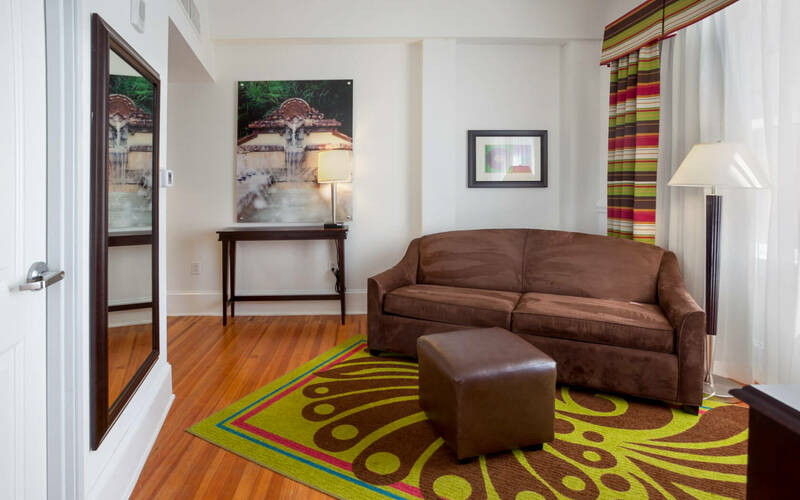 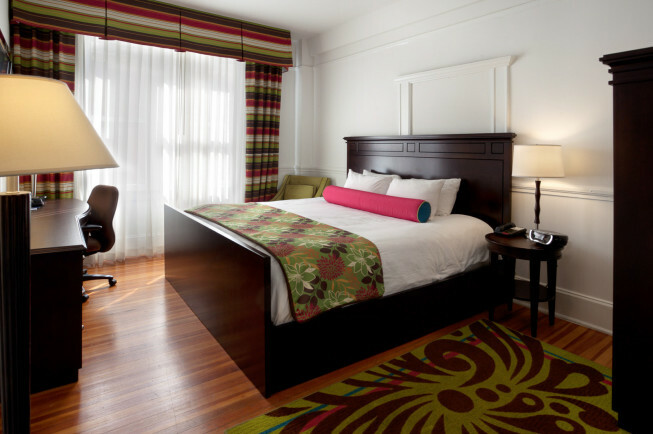 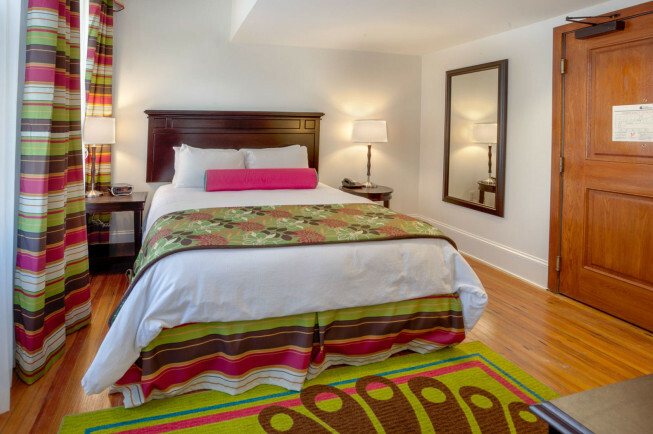 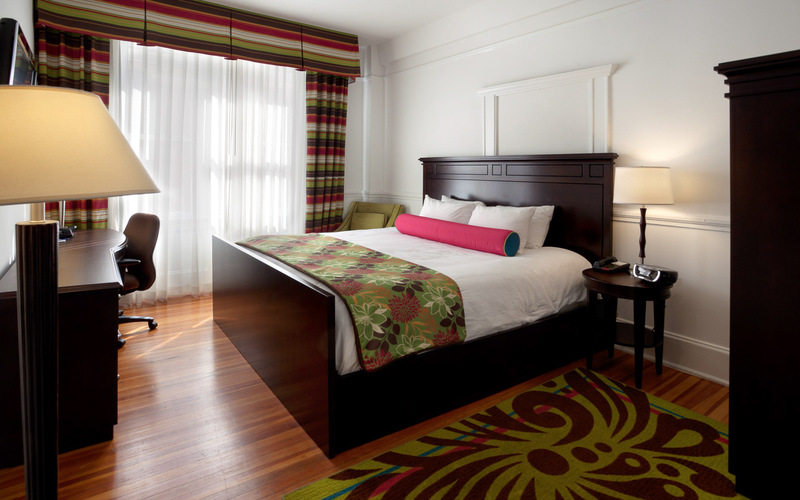 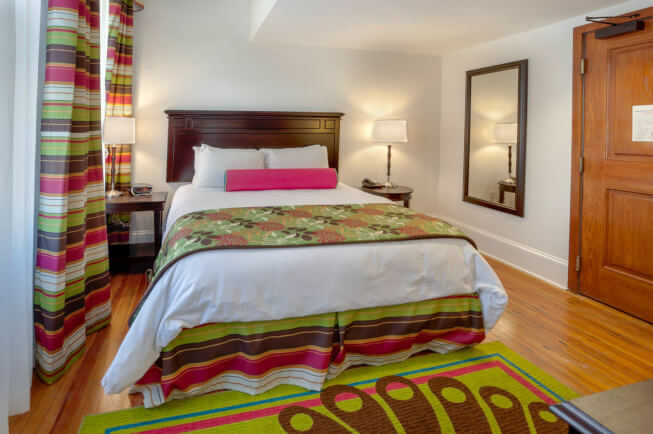 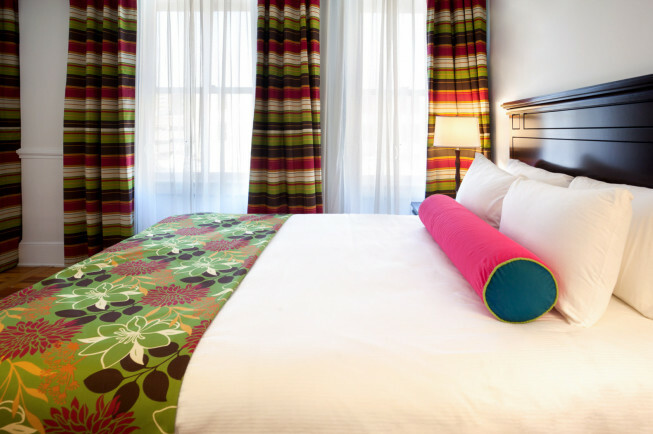 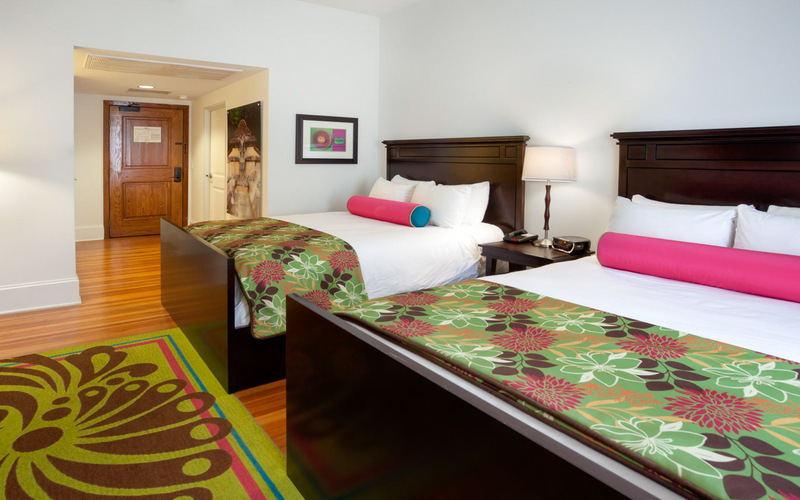 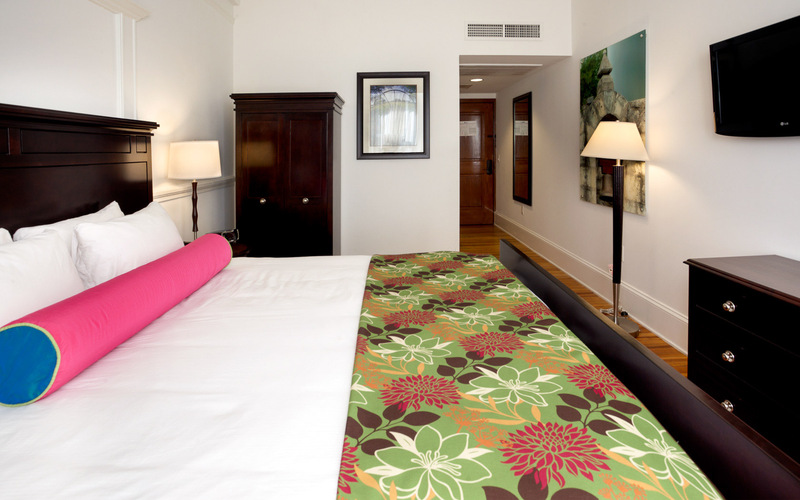 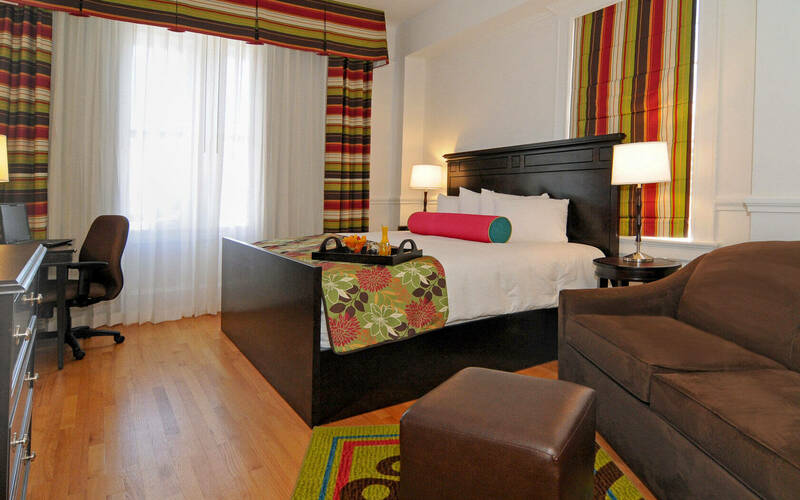 Stylishly appointed in colorful patterns and offering an abundance of natural light, our refreshing Two Queen Leisure rooms feature 100-year-old hardwood floors, contemporary furnishings, and two plush queen-sized beds. 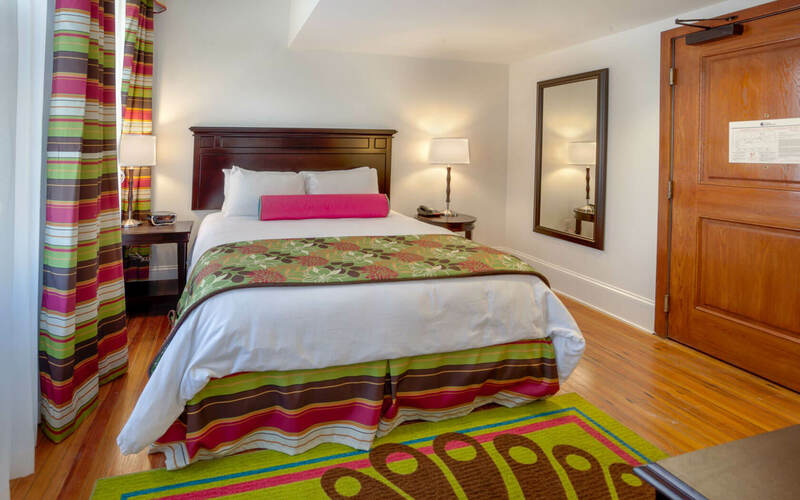 Ideal for friends or family traveling together, our junior suite features amazing views of the Alamo, along with original hardwood flooring, a cozy king-sized bed, a sofa sleeper, and an oversized bathroom and dressing area. 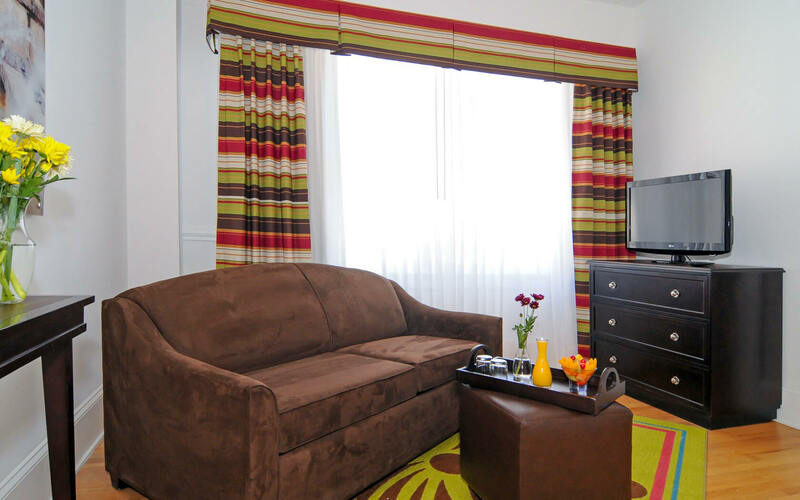 When only the very best will do, choose our spacious King One Bedroom Suite. 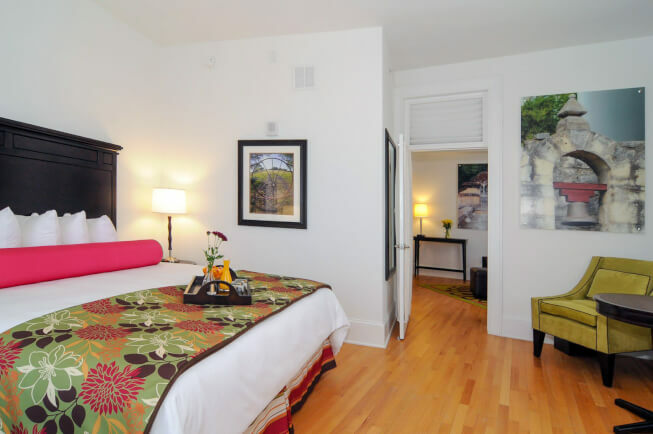 Highlights include original hardwood flooring, stylish, modern decor, and rich, plush bedding atop a luxurious king-sized bed. 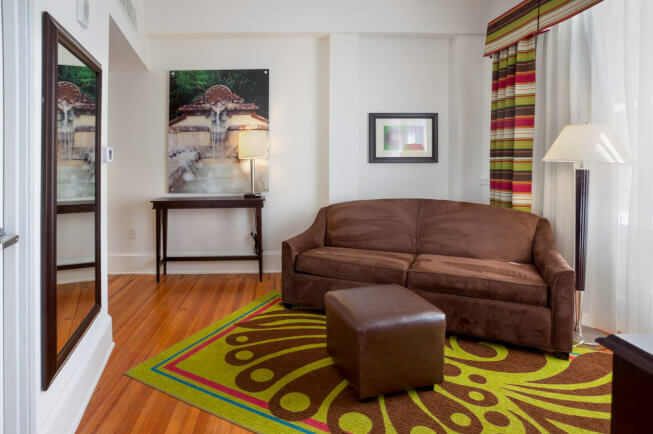 Contemporary and stylish, our Two Queen Handicap Accessible Leisure rooms feature gorgeous, original hardwood floors, modern furnishings, and a spa-inspired glass shower to luxuriate in. 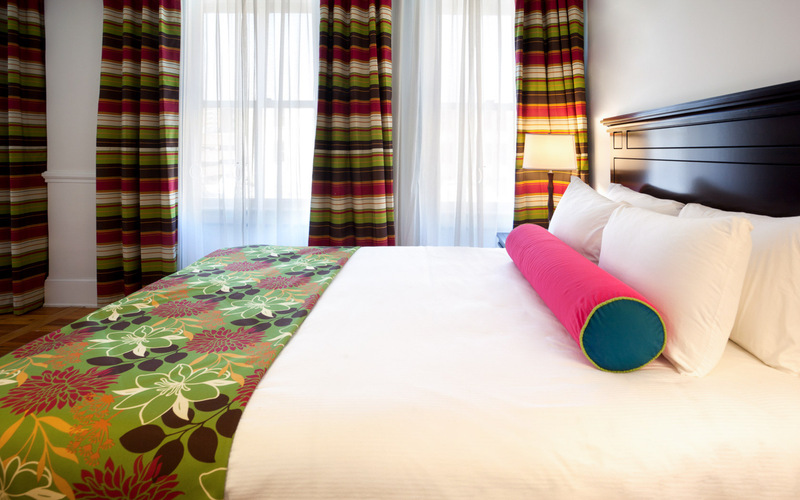 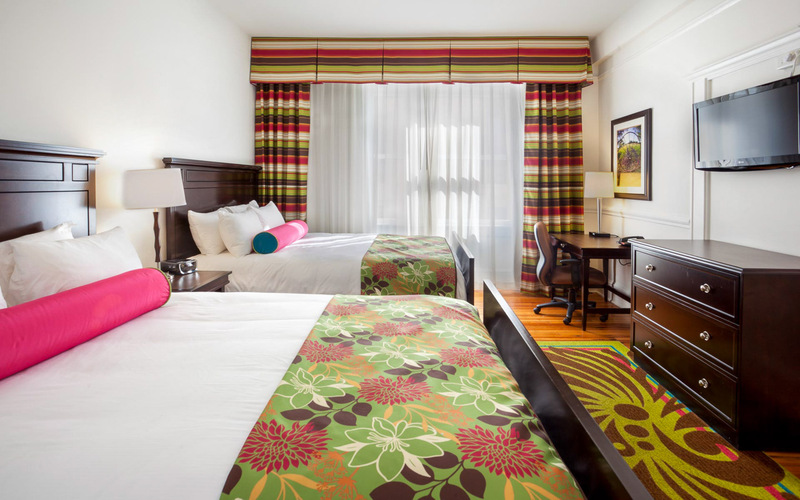 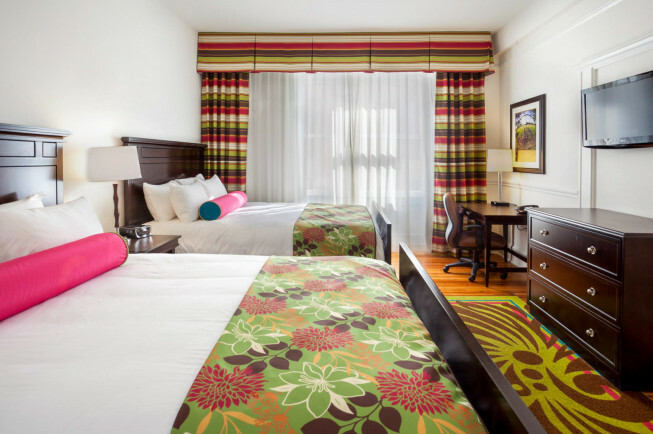 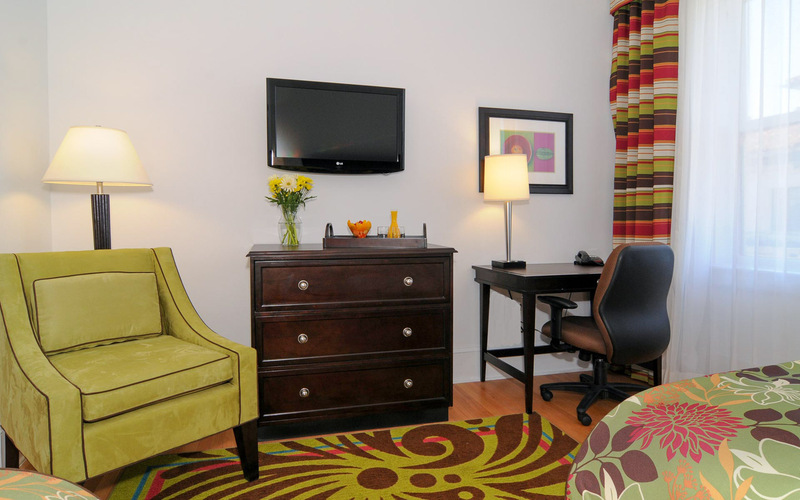 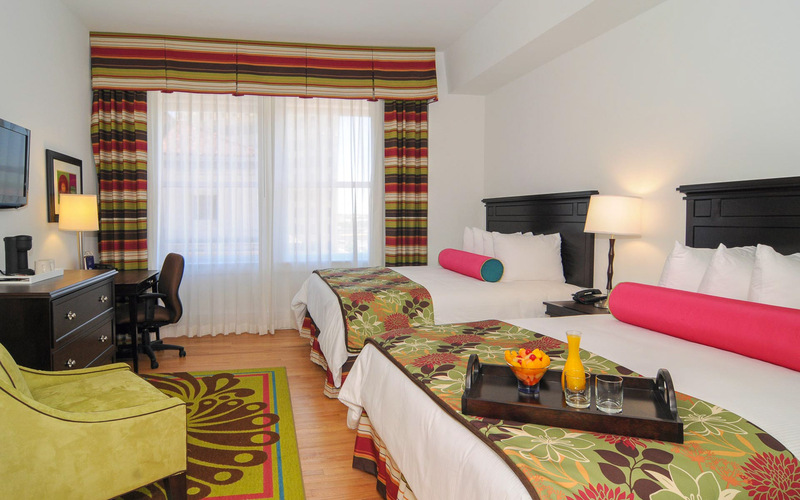 Featuring colorful patterns, modern decor, fabulous amenities, and plenty of natural light, our Queen Executive Handicap Accessible rooms offer the perfect homebase for couples and business travelers alike. 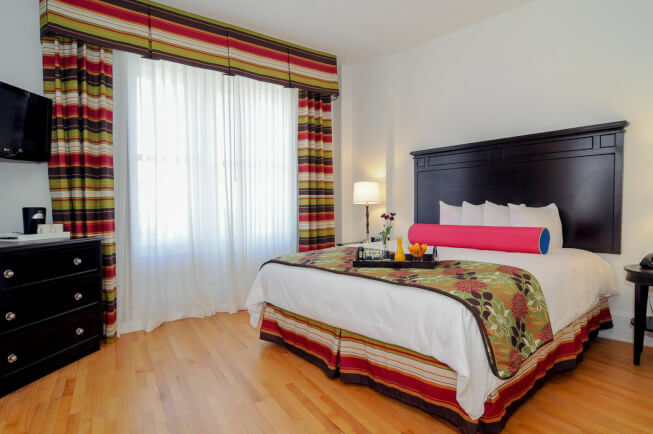 Sleep atop a plush king-sized bed, enjoy an abundance of natural light from the oversized windows, and refresh yourself with a luxurious, spa-like shower, all in the King Executive Handicap Accessible room.